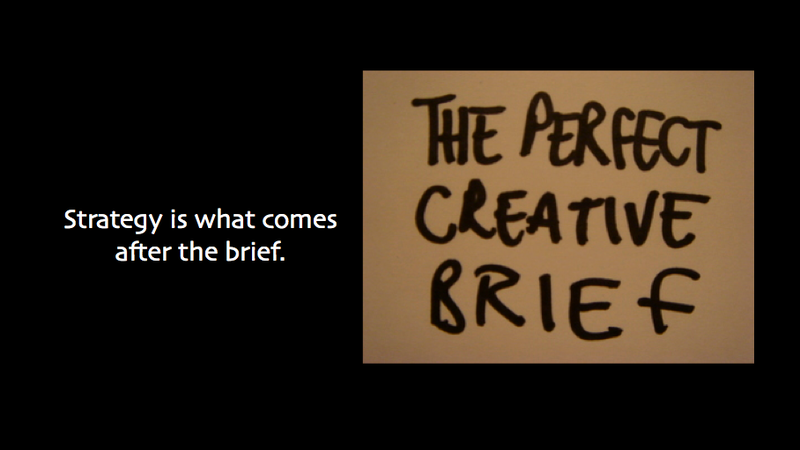 Strategy is what comes after the brief. Concepting takes more people in digital – technologists, art directors, writers, UX, and yes, strategists. We have to be wracking our brains for good ideas too. We also need to encourage baby ideas with potential and fix ideas so they will work in the real world. Then there is this grey area I haven’t totally figured out. There is a wide variety of interests among even our little bevy of 4 planners – some have no problem walking into a six month vortex to create a 1.3 million a year brand platform site and debate the number of tabs we should have on the home page. I like coming up with the general idea of a platform and even getting into the detail of all of the functions and content areas and assessing how it is doing. But I don’t want to handhold developers. I’d rather be coming up with more ideas or winning new clients. I’d be curious to know the spectrum of talents you are coming across and which ones you define as strategy. 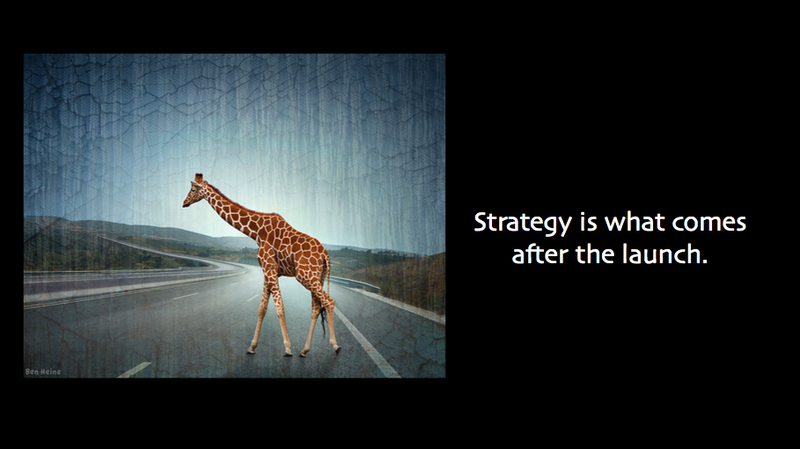 Strategy is what comes after the launch. Clients are just starting to realize this, but there are inevitably going to be things that go wrong or unexpected fortuitous opportunities when we put our work out into the world. What do you do when 50 Cent wants to use some of your film in his video? This really happened to us last year once we launched Carousel. Or when you’ve created an online game and there’s not enough server space and it’s so popular it constantly crashes in the first days? This also has happened. Or Facebook changes the rules mid-campaign? They tend to do that kind of crap. Strategy plays a critical role in deciding what the best move is. Of course, there is measurement and learning for the next thing you do, but this point is really about the period of time when an idea goes live and likely needs care, encouragement and trouble shooting. Shout out to all you homeless information architects who land at this post with high hopes! But on a more serious note: yes agree navigation design is not a strategy deliverable. But the prioritisation of user experience elements for given categories of user, and on given devices (eg PC / smartphone), is a strategy deliverable. And that is the primary input for a good navigation design brief.